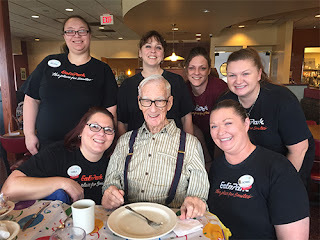 What an exciting week last week at our Steubenville Eat’n Park where we helped Frank (or "Pap" as we like to call him) celebrate his 103rd birthday! 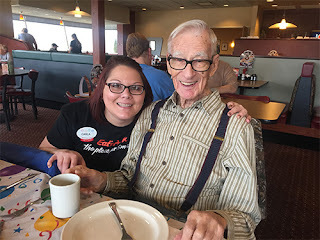 Pap visits us five times a week and celebrated his big day with his daughter, son-in-law, and our lemon meringue pie. Happy Birthday, Pap – you always make us smile!